By clicking send I agree to be contacted by this dealership for business purposes via email, phone or text. 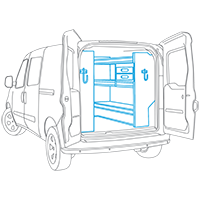 Click here to choose a Van Upfit! We couldn't find anything using these filters. Do you want to see Stock or VIN #: ? No work trucks matched your search. Let us know exactly what you're looking for and we'll help you find it. One moment, catching up to your changes! Please enter your information and question below. Contact Randy Marion Chevrolet Mooresville Today! Copyright 2019 Work Truck Solutions. All rights reserved.